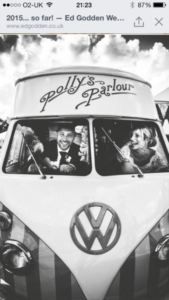 Polly’s Parlour owns a multi awarding winning beautifully restored 1966 VW vintage ice cream van called ‘Florence’. 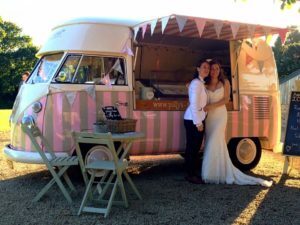 She is ‘one of a kind’ draped in bunting, hand painted in wonderful pink & brown candy stripes with traditional sign writing & simply stunning! We serve only the finest hand scooped traditional ice cream with an incredible choice of flavours, mouth watering sorbets & organic whole fruit lollies ~ as ethical & natural as possible. 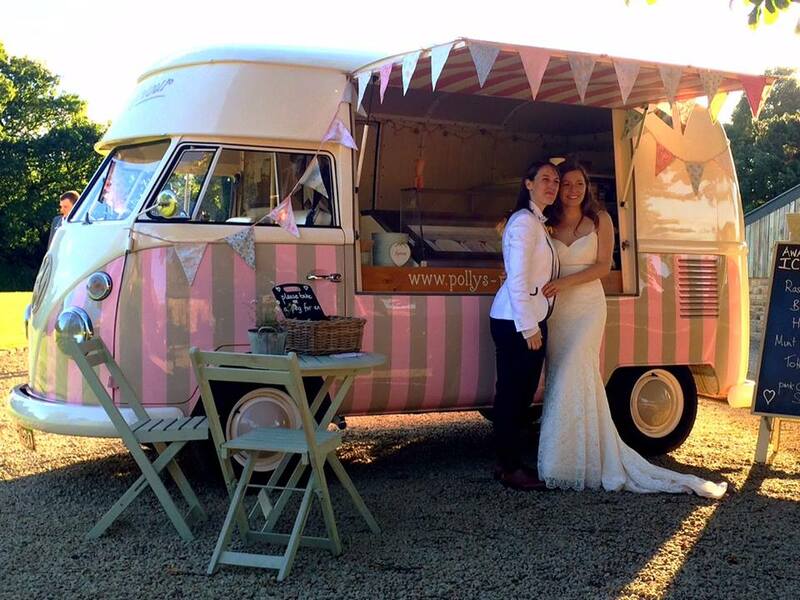 ‘Florence’ is perfect for wedding hire & event hire. We also own ‘Matilda’ our famous fully restored 1967 VW split screen ~ beautifully painted in ‘Matilda green’ with cream & a bespoke oak & distressed leather interior. ‘Matilda’ can be hired for weddings & other occasions. 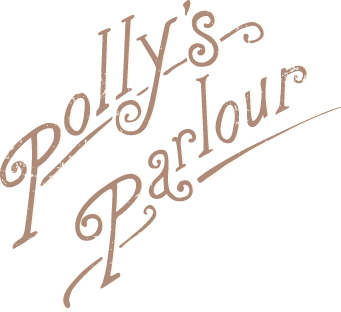 We are an inspired & passionate family run business whose aim is to provide a flawless service, full of energy & nostalgia.